Synopsis: An international crew of astronauts undertakes a privately funded mission to search for life on Jupiter’s fourth largest moon. Quick Review: Europa Report is more Sci-Fi than pure horror but the documentary style used for this movie brings us closer to the braveness of space travelers and the terror they might have to face when confronted with the unknown. Technically, Europa Report is flawless and really allows us to get closer to the astronauts using cameras placed within the ship as well as on the exterior of the spacecraft. And the footage actually looks like it could have been provided by the NASA. The performances by most of the actors are spot-on and convey the claustrophobia of being trapped in such a closed space for so long. But is it scary? Well, for one, it’s not Alien, and you will not find jump scares scattered throughout the movie. 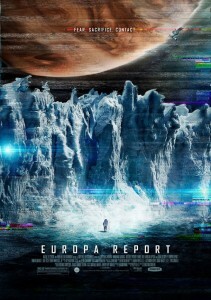 Europa Report is more about the growing tension and sense of helplessness that those astronauts have to endure. Therefore, as I said in the beginning, Europa Report might not be a traditional found footage horror movie but I will take this one over an Apollo 18 anytime. Click Here To watch Europa Report Online Now!